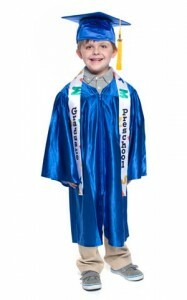 Do order grad gear specifically designed for kids with caps that fit children’s heads (or are adjustable), and gowns sized appropriately. Check out our Grad Apparel Measuring Guide to help you find the perfect fit. Don’t purchase scaled down versions of adult apparel. Caps that are too big can fall off, and gowns that don’t fit right can pose a tripping hazard. Plus, they just don’t look good. Do choose apparel that is sturdy enough to stand up to wear and tear by kids and will look good for pictures. 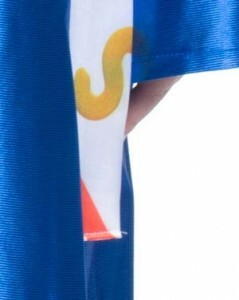 Don’t opt for crepe, felt or flimsy fabric that will fall apart before the ceremony even starts. Do choose a company that offers a variety of color and pattern options. Whether you’re matching your school or theme colors, putting boys in one color and girls in another, or allowing kids to choose their own colors, you need options that will meet your needs. Don’t think you have to settle for colors or patterns that don’t really work with your theme or vision. Do make sure all edges are finished. 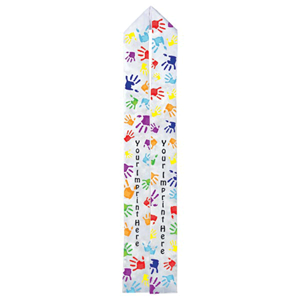 This creates a polished look and ensures that your little grads will get through the ceremony, celebration and pictures without unraveling or fidgeting with their apparel. Don’t settle for shoddy workmanship. Your little grads deserve to look good on their big day. 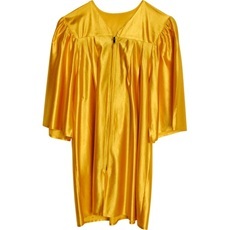 Plus, if you reuse grad gowns from year to year, you want them to last through washings, storage, and multiple wearings. Do embrace each child’s uniqueness with grad gear you can personalize with individual names. When it comes to grad gear, quality, fit, color, and customization, we have the grad gear you need to make the event special, memorable and cost effective. 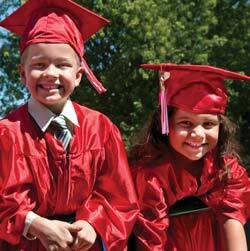 We offer FREE fabric samples of our graduation apparel. Order yours today!